That was my lead into my first interview with Warren Haynes, conducted and published just under a year ago. We discussed his stunning solo album, Man In Motion, soul music, and living with dedication to artistry and creativity. I took an unconventional route of discovery to the vast body of work that makes up Warren Haynes’ accomplished career. I first met his music as a solo artist. Man In Motion and Tales of Ordinary Madness have become two of my favorite albums, and after seeing Haynes put on a virtuoso live performance, and reviewing that performance, I started diving into the recent work of The Allman Brothers – on which he plays guitars and often sings – and the catalogue of Haynes’ own band, Gov’t Mule. It is his latest release with Gov’t Mule that is the topic of discussion in my new interview with Haynes. Gov’t Mule has put out a new box set of complete live shows from their first tour in 1996. 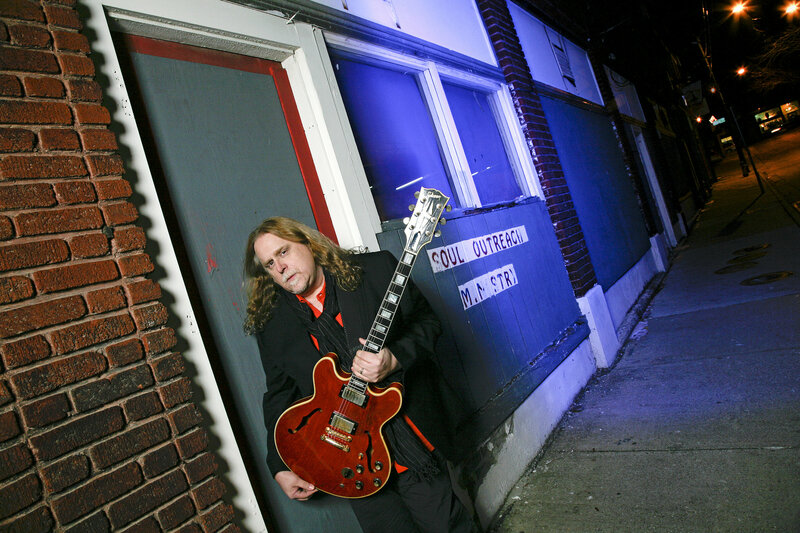 In the interview, “Getting Away with Murder: A Conversation with Warren Haynes”, Haynes and I also discuss the future of music, timeless music, jazz, and his frienship with Derek Trucks. In addition to being an extraordinary singer, songwriter, and musician, Haynes is also a fun and fascinating conversationalist. He has an easy, but insightful style of communication that both provokes thought and invites engagement. It was my pleasure to speak with him, and its been my pleasure to listen to him music. This entry was posted in David Masciotra, Music and tagged David Masciotra, Gov't Mule, The Allman Brothers, Warren Haynes by davidmasciotra. Bookmark the permalink.